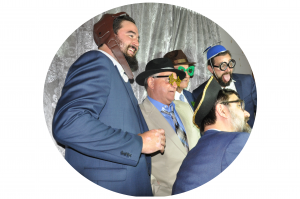 Lotsa Laffs Photo Booths had a marvelous evening celebrating the marriage of Jen Berkebile and Erik Schmalz at General Potter Farm on Saturday, June 2nd. 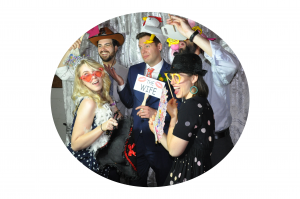 Jen and Erik were definitely meant to be as they buzzed among guests, mugged behind the camera and danced the night away with And We Danced DJ Entertainment‘s awesome musical mixes. Smiles were always on their faces. The couple were also wonderful while behind the camera. They both have a great sense of humor and are loved by family members and their guests. The couple were joined in marriage by their friend Joe Jividen at the Rhoneymeade Sculpture Garden & Arboretum. The bridesmaids sported bright poppy red dresses, while the groomsmen donned blue suits with poppy red ties. The bride was gorgeous in a beautiful taupe colored dress, while the groom wore a handsome blue suit. The bridal party were special friends from school and family members. 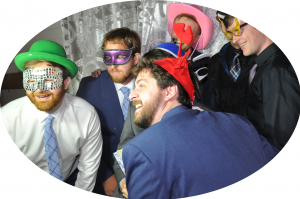 No one was shy that night as they stood in line waiting for their turn at the photo booth. The bride was definitely number one that night as she sported the hand held number one prop behind the camera with her chums. The groom wasn’t far behind as he grinned along with his cronies and did some spectacular poses for the camera. 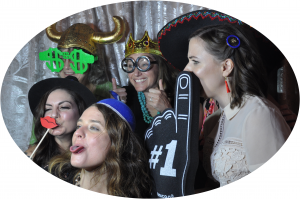 The photo booth had a never ending line as the night progressed. Young and old were not bashful when picking out hats, props and glasses. No one was chicken flashing behind the camera. Lotsa Laffs really means lots of laughs, and the guests were sure living up to our name. 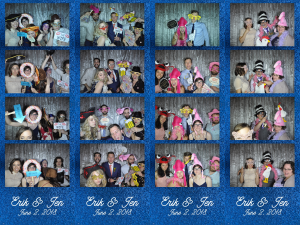 No one wanted to see the night end, but everyone had spectacular picture mementos to take home and reminisce about Jen and Erik’s walk down the aisle. 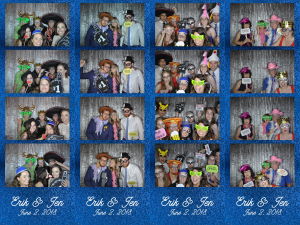 Thank you Jen and Erik for allowing Lotsa Laffs Photo Booths capture some spectacular, funny and striking pictures that will leave everyone fondly smiling and reminiscing about your wonderful day!